Are you looking for a comfortable chair for yourself or your beloved senior? Choosing the best recliner for elderly could be what you need if you are having trouble getting in and out of your chair. The right recliners for seniors are designed with supportive features that help in addressing all the difficulties and inequities experienced by the elderly. These include smooth power lifts, heating, and massaging features, backrests, and footrests as well as luxurious cushioning. This ensures that these chairs are ideal for seniors with weak knees, back problems and those recovering from surgery. The excellent design makes it easier for the elderly to get into and vacate them as compared to conventional recliners. Moreover, the best recliner for elderly can also offer great mobility support as some of them include a swivel feature that allows the seniors to move from one corner to another without standing up. 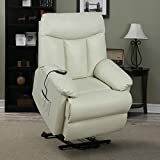 What is Recliner for Elderly? A recliner is a chair designed as an armchair or sofa that reclines whenever the back of the seat is lowered by the user and elevates its front. This makes it one of the most comfortable chairs for the elderly. 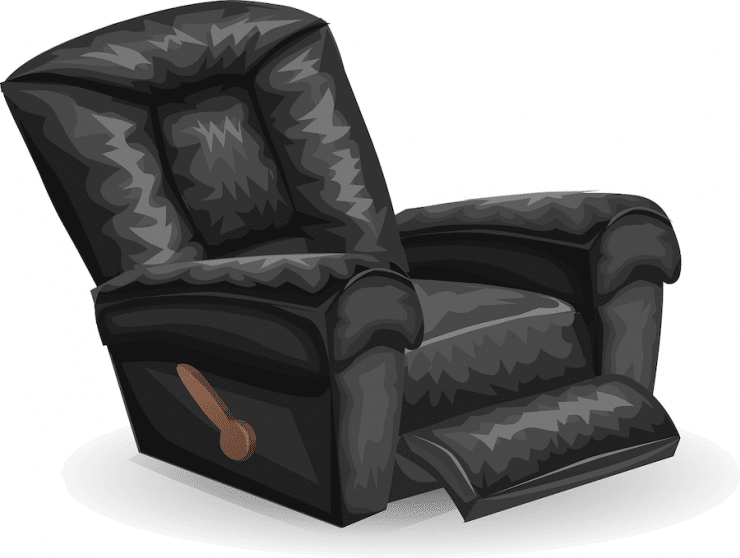 In most cases, a recliner for seniors comes with a comfortable backrest that easily tilts backwards. 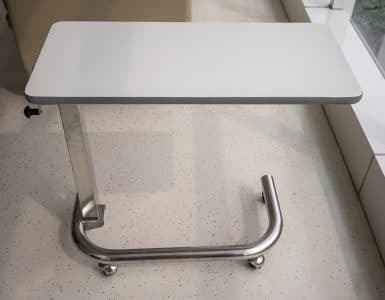 In addition, the chair includes a footrest that extends automatically either when its back is reclined or extended manually by the user by using a lever, which is fitted on the side. 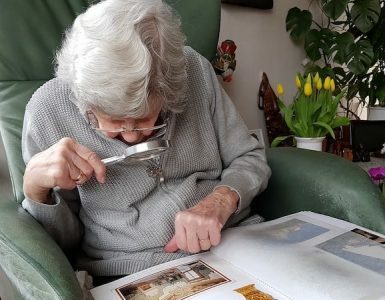 However, it is important to understand that recliners for elderly may differ in terms of style and design but most of them are specially designed to help seniors with medical conditions such as limited mobility and back problems. Usually, most of the best recliners for seniors come with improved features such as motorized lift mechanism that helps in addressing the mobility issues experienced by the elderly. These mobility problems include getting into the chair and getting off as well as relieving stress on joints while sitting or getting from the chair. 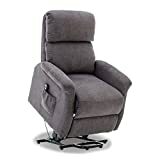 Most of the best lift chairs for elderly, includes recline feature, backrest, swivel features and footrest, which makes them incredibly comfortable. This allows seniors to relax and lounge in a luxurious position after the day’s activities. You can also consider choosing a pressure relief cushion to make you even more comfortable. In addition to providing great comfort, the best recliners chairs for elderly improve posture. This is through maintaining proper body positioning and thus plays a vital role in ensuring that your spine remains in proper shape. Maintaining proper body positioning helps prevent back and joint issues that mainly affect the senior citizens. Some of the top-rated recliners come with massaging and heating feature that purposely designed to help people with back issues. Such recliner chairs, aids in heating the lumbar region. This helps in soothing back pain and encourages quicker healing to people with arthritis or those recovering from surgery. Moreover, these orthopedic chairs for seniors help in alleviating pain from back muscles while also enhancing the circulation of blood throughout the body. This makes the user feel healthier and comfortable all the time. Recliners are usually adjustable and thus offer perfect sitting positions for people with mobility issues to bend, sit or get up. This helps the seniors avoid straining their back or muscles when standing up or getting into the chair. Moreover, the best recliner chairs for elderly reduces the risk of falling. 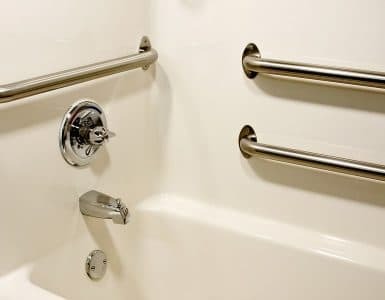 You may also want a transfer pole for elderly or to help you get up easily. The best lift chairs for elderly should include great features that allow it to work well. These include a functional recline, an efficient massage and heating function and footrest that functions smoothly. Most of the top-rated recliners for seniors are purposely designed to help people with special needs such as spine issues and back problems. Therefore, when looking for the right recliner chair, it is advisable to pick the product with necessary features that make seniors more comfortable. It is also important to choose a recliner chair that is easier to clean and most preferably one that does not trap bacteria or dirt easily. Therefore, you should check its fabric, frame and all other potential areas where the dirt can accumulate to ensure that these parts are easy to wipe. Comfort is another factor that will greatly influence the product that you pick. The best recliner for elderly should include an excellent fabric that offers the much-needed comfort. 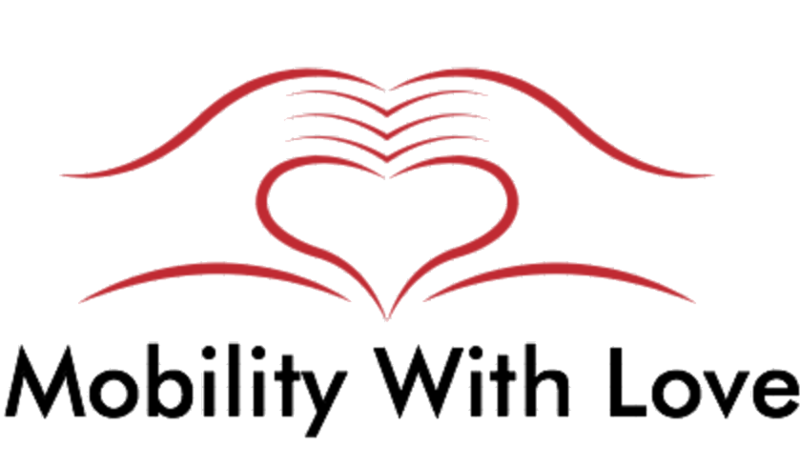 Besides, the right lift chairs for seniors should also have sufficient padding, provide head support as well as lateral support, comfortable backrest and be easy to get in and out. It should also be fully adjustable to ensure that you are able to switch to comfortable positions. Most of the stylish recliners come with existing décor and also portray a sharp sense of fashion and image of exclusivity. Therefore, when looking for the best recliner for elderly citizen, you should get the one that offers an excellent design without compromising on the key features. Some of the recliner chairs are electric-powered (See also folding electric wheelchair) while others are battery-powered. 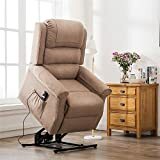 Electric recliner chairs for seniors are usually more convenient than battery-powered chairs as they do not need replacement of batteries or recharging. This is one of the popular remote control recliners for the elderly that you should consider. The Giantex Power Lift Furniture is the ideal choice for those who want to upgrade from standard chairs for seniors. It also features a great design that ensures that your body is put in a position or posture that minimizes back pain and relieves muscle pressure for a more relaxed lifestyle. The Giantex Power Lift Chair is easily controlled by a remote control that comes with it. The remote control allows the user to adjust the reclining chair effortlessly to different positions that suitable for seniors with back issues or those recovering from surgery. Furthermore, the remote control includes a code that enables the elderly to trace it in case it gets lost. Finally, the reclining chair for elderly offers great comfort as it comes with padded arms, massage feature, footrests and tufted back that provide ultimate luxury. The Giantex Recliner chair brings great décor into your room. 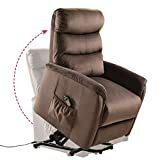 This U-MAX Power Lift Chair Recliner is one of the best recliners for elderly especially for elderly with back pain (coccyx cushion also helps to relieve back pain). This recliner chair is made of sturdy and soft leather and includes back, armrest and head parts padded with an extra thick sponge. It features 4 areas of massage focus ( lumbar, tight, back and neck regions ) to ensure the whole body is well relaxed. Want to know the best part? It also features a heat function on the lumbar part for back pain relieving. The U-max Power Lift chair is easy to assemble and features an electrically powered lift system that enables it to lift the user easily and safely. Therefore, it is a good choice for elderly who is hard to get in and out of the chair. It can lift up and down very smoothly without moving the body by yourself. In addition, it has a cup holder and packets on each side so that you can drink water and read newspaper conveniently. However, it is a small recliner for elderly which is not designed for tall elders. It is made of PU leather and wood frame and can only recline to 130 degrees. heat function on the lumbar part. easy to get in and out. Can only recline to 130 degrees. If you are looking for a comfortable and good looking recliner for elderly, this Ashley Yandel power lift recliner will not let you down. It is well designed to make sure you are well relaxed. The fabric is very comfortable with good looking. It looks like real leather but it does not slip like the real leather. This recliner for elderly comes with a remote as well and you can control the chair, the footrest separately. For seniors with mobility issues, this recliner can lift high enough to let you get in and out of chairs like a breeze. It can reline to flat and you can take a good sleep on it. Don’t like noise? 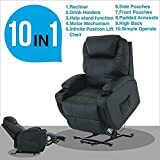 This Ashley Power Lift recliner works smoothly and quietly. Besides, unlike the small recliner for elderly we mentioned above, this recliner is large enough with a 35″W x 40″ D x 42.5″H scale. All in all, it is one of the best recliners for elderly that you can’t miss. Very comfortable design and fabric. The footrest can’t raise very high. Divano Roma Furniture Recliner is our pick for the best recliner for elderly as it is relatively cheap and comes with great features that make it ideal for seniors. The recliner is fully adjustable and thus allows you to nap comfortably as it goes completely flat. With its infinitely adjustable nature, the furniture provides unmatched relaxation, which explains why it is one of the most popular recliners for a user in different backgrounds. The furniture allows you to recline fully regardless of whether you are sitting or rising and also have your feet raised while relaxing. Moreover, the Divano Power Lift chair rises easily to a hoisted position from a sitting position whenever the user is getting up, as it is an ultra-plush reclining armchair. Besides, the reclining chair offers a wonderful user experience as its lifting and reclining system is effortlessly controlled by the remote control and powered by an ultra-silent motor. The reclining leather chair features an excellent design and base that supports all the positions from 100 percent recline to upright sitting position. The Coaster Casual Chenille Fabric Recliner comes with an excellent power lift recliner system that makes it easy for a user to get up and sit down. Besides, the reclining chair by Coaster is durable, comfortable and easy to use ( You may also want an easy smartphone for senior) and thus will serve you for a number of years. The Coaster Furniture purposely design to offer comfort as it features plush cushions that offer the much-needed support to all the right places. On the other hand, the fabric has velvet texture that makes it easy to clean and soft. The comfortable chair for seniors includes a remote control that is user-friendly, which helps you to control reclining function and the lift. Additionally, the reclining chair comes with a footrest and a backrest for a therapeutic rest or a nap. The ProLounger Lya Power Lift and Recliner chair feature a larger design and leather exterior that makes it extremely comfortable and durable. Besides, the sleek, modern design includes strong frames constructed from laminated hardwood while the reclining system is made of steel. The chair supports up to 300 pounds, and thus it can accommodate most of the seniors with ease. Moreover, the hugger design ensures that the chair takes less space in your home ( Pop Up Trundle Beds also help seniors to save space). The design allows you to place the chair close to the wall and still use the reclining function fully. It is another good small recliner for elderly. With the silent and smooth lift mechanism, you can easily move into a reclining position by just a click of a button. In addition, the reclining chair comes with sturdy cushions that are made of high-density foam and polyester as well as encased coils. The Mecor Electric Power Lift Recliner for Elderly is among the most popular electric chairs for senior citizens for a number of reasons. First, it features an excellent power lift design that allows seniors to adjust the entire chair to the suitable height. This enables them to get up from the chair easily. Moreover, the chair features an extending footrest that allows full stretching for relaxation and is also easy to use as it is remote-controlled. The remote control recliner for elderly comes with a cushion made with deep foam while the entire chair is made of a premium leather material, which makes it durable. On the other hand, the backhead contains an extra thick sponge for enhanced support. Finally, the reclining chair has an ergonomic shape that conforms to your spine and lumbar, which protects your cervical spine. The Mecor Electric chair for seniors also comes with 2 cup-holders, a side pocket and some pouches that allow for convenient storage. Overall, the best recliners for elderly offer some unique benefits to seniors, which include health benefits like spine and back pain relief and also provides the much-needed luxurious comfort. The best lift chairs for seniors come in a wide range of designs and styles that include great features that meet all the requirements of the senior citizens. However, choosing the right reclining chair can be a considerable hassle, but with the information provided in our article, we are sure that you can easily get a reliable product. This could be picking one of the top-rated products reviewed above or using the information in our guide to look for other quality products in case you are not happy with our picks. My husband has bladder and liver cancer possibly lung cancer but definitely copd. He needs his right knee replaced but that’s not an option. His right foot swells and the skin splits on his leg.